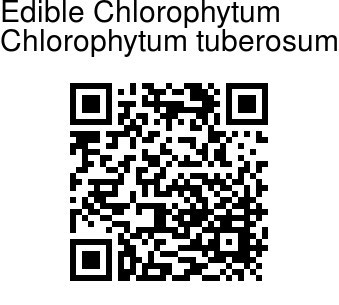 Edible Chlorophytum is a herb found throughout the warmer regions of the world. The plant is about 20 cm tall, seen in gregarious clumps. Leaves are strap shaped, 6-12, all arising from the base, 15-30 cm long. The plant blooms with the first showers of monsoon. Flowers are white, 2.5 cm across, with 6 elliptic petals. The center of the flower as 6 erect stamens with yellow anthers. The fruits are three-edged capsules containing seeds 2 mm in diameter. Edible Chlorophytum is also a famine food - bulbs and leaves eaten. Bulbs and leaves dried and pounded into flour for bread. Flowering: June-July. Medicinal uses: The leaves and roots are edible. 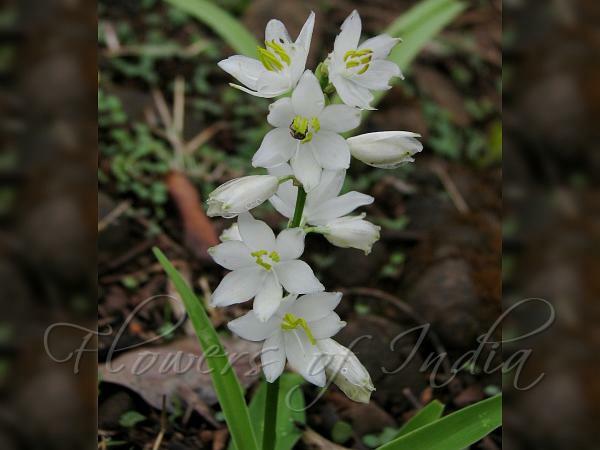 In India the roots are dried and used as a popular tonic and aphrodisiac in Ayurvedic medicine. In northern Nigeria its tubers are crushed to produce a lotion used to treat guinea-worm. Identification credit: Prashant Awale Photographed at Tandulwadi fort & Navi Mumbai, Maharashtra.